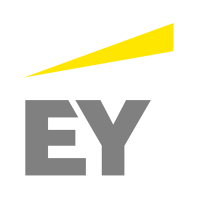 At EY, we are committed to building a better working world — with increased trust and confidence in business, sustainable growth, development of talent in all its forms, and greater collaboration. We want to build a better working world through our own actions and by engaging with like-minded organizations and individuals. This is our purpose — and why we exist as an organization. Running through our organization is a strong sense of obligation to serve a number of different stakeholders who count on us to deliver quality and excellence in everything we do. We want to use our global reach and scale to convene the conversation about the challenges facing economies and the capital markets. When business works better, the world works better. Learn more about our commitment to building a better working world. EY Global Delivery Services (GDS) consists of various service delivery centers from which our Client Service and Enablement Services teams operate to deliver strategic support to our EY member firms. GDS spans all geographies, practices, services lines, sectors and competencies within EY to deliver deeply-integrated services that result in efficient and world-class solutions. Today, the GDS team is 22,000 strong across five countries and plays an important role in EY’s growth strategy by providing efficient and effective support to our service lines and enablement functions. GDS is a vibrant organization that is constantly growing and expanding its base, services and competencies. As our clients become more global and expand into new markets, they expect us to be equally diverse. We have a strong commitment to bringing together the right teams for our clients from across our global organization. These teams match our clients’ needs in terms of knowledge, skills and cultural background.